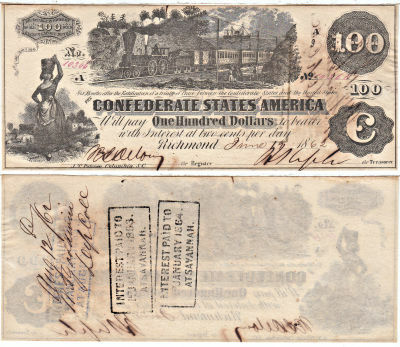 When the Confederacy seceded from the Union in 1861, it immediately began issuing paper currency. 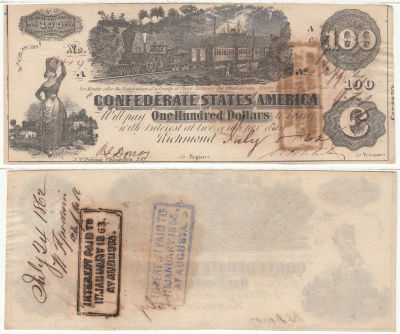 The Confederacy struck no coinage, so paper money was the staple of everyday commerce. 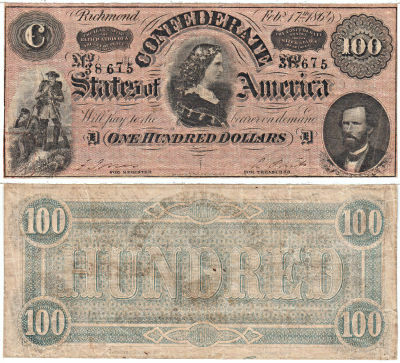 Between 1861 and 1865, the Confederate States of America issued over 100 varieties of currency, some very rare, others very affordable. All are colorful and historically important, and feature vignettes of Confederate heroes, officials and buildings. 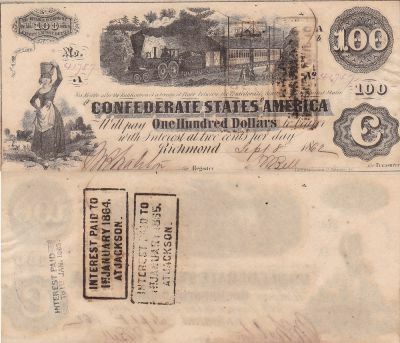 You can find notes portraying Jefferson Davis, Gen. Thomas "Stonewall" Jackson, and the Confederate capitol of Richmond. 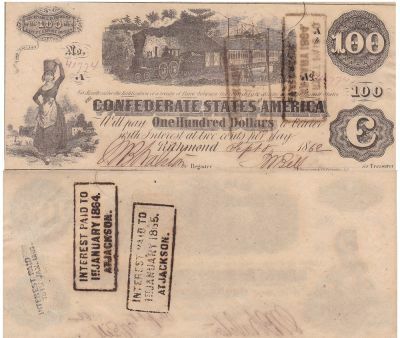 With increased interest in our Civil War history, the issues of the Confederate States have become more and more desirable, with the earlier issues becoming increasingly hard to find. 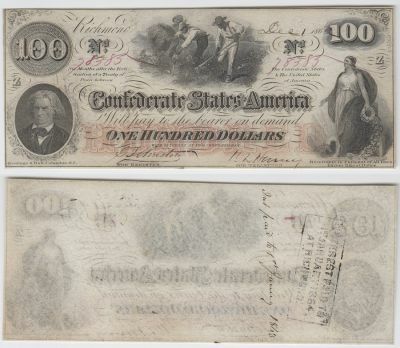 We try and stock as many interesting Confederate notes as we can as we have seen interest in this fascinating area of collecting explode in recent years. Choose from 16 different notes! Choose from 32 different notes! Choose from 40 different notes! 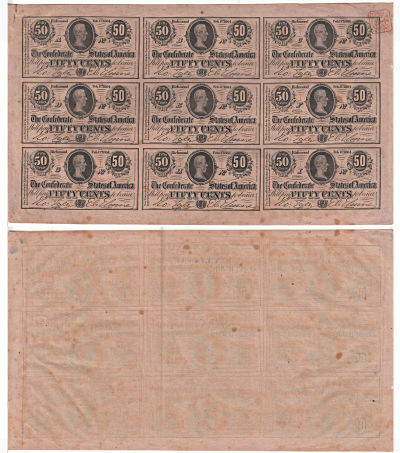 A scarce original uncut sheet of 9 notes with the C.S.A. Treasury Seal. Pink paper, 1st series.